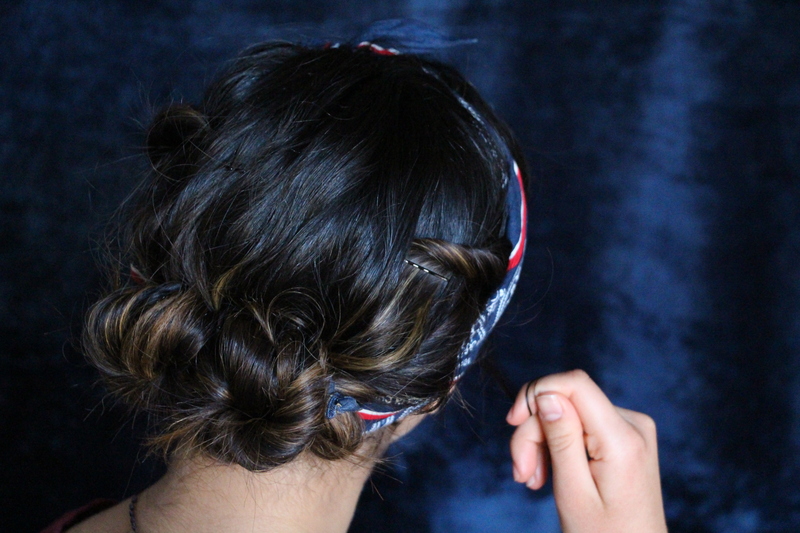 Today’s hairstyle is inspired by the hair fashion in America during the 1940’s. I’ve been really interested in all thingy beauty and fashion during that WWII era, and this look was the result of it. 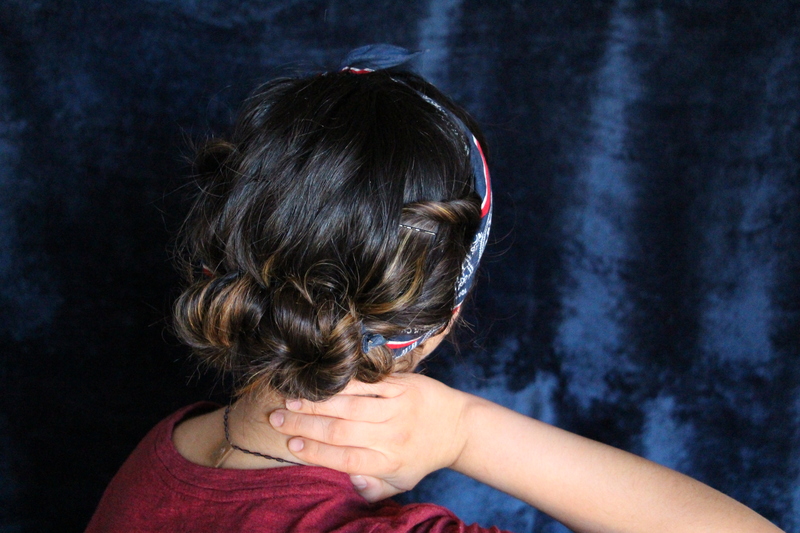 Back in WWII, women had to keep their hair out of the way, since they were working in factories and other places where long flowing locks would have been both intruding and sometimes dangerous.Yet, they still sported some pretty stunning hairdos. This is an inspired look, since on most days I’m not up to wearing some victory rolls and such. If you would like to see a more original look, please let me know in the comments! 1.) 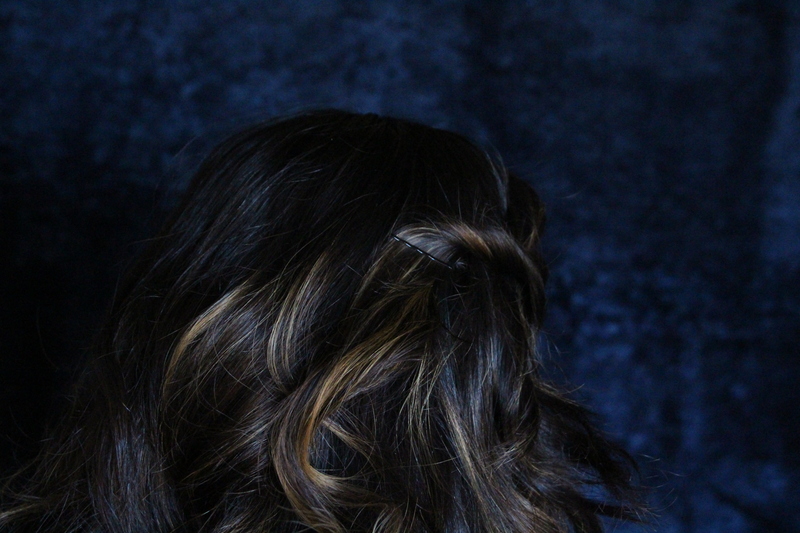 Section hair off into a side part. 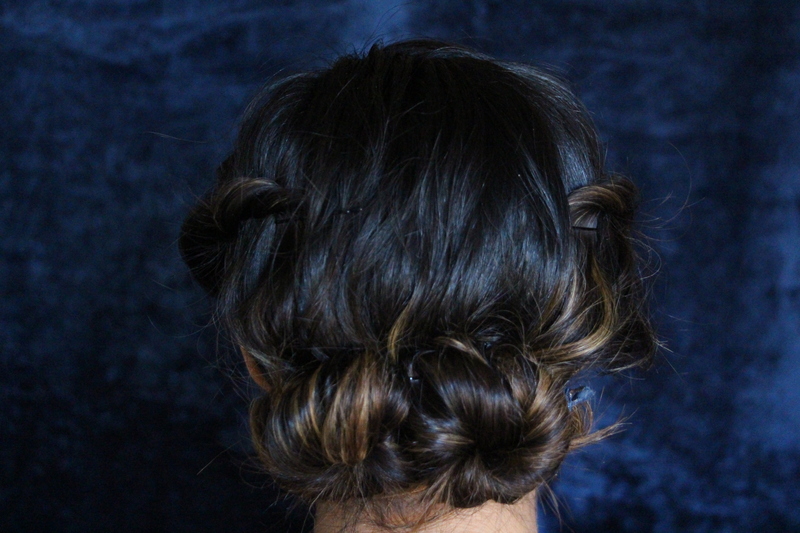 This hairstyle works with curly or straight hair. 2.) 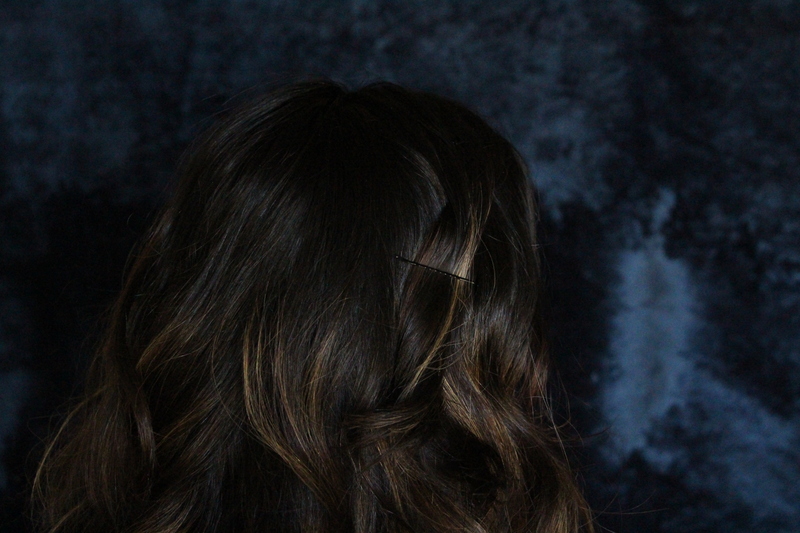 On the “thicker” side of the side part, grab approximately 2 inch section of hair, depending on how thick your hair is. Twist the section slightly, and pin. 3.) Gently tug at the pinned section of hair, especially near the hairline, this will give the voluminous effect that was popular during the 40’s. 4.) (Still on the same side) Grab a thinner section of hair, beginning from the top of your ear, all the way up to the pinned section. 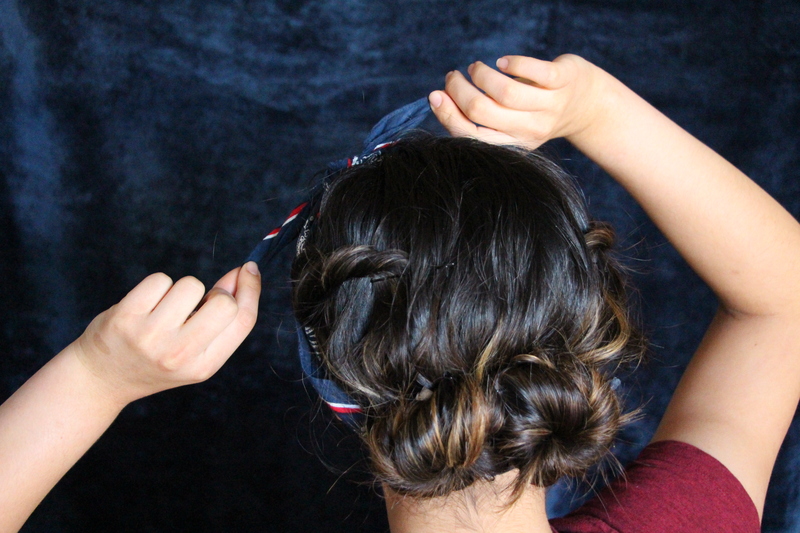 Twist this section, and tug at the twist, to make it softer and a little thicker-looking. 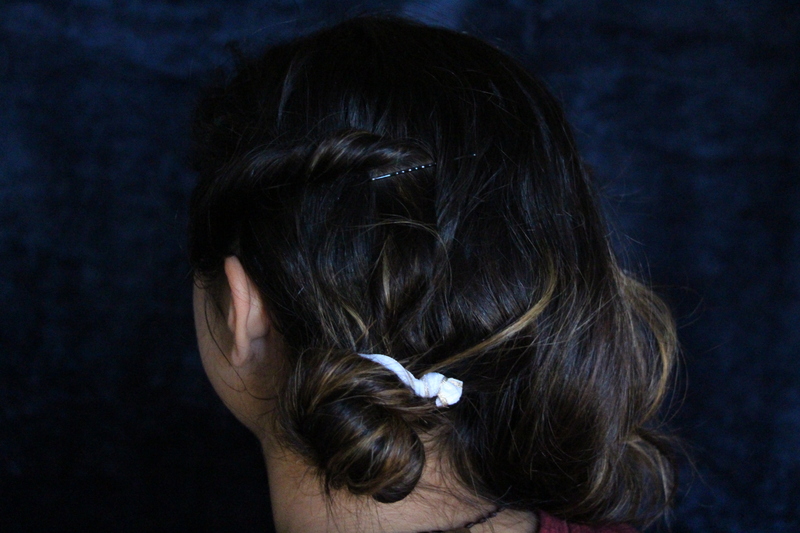 Pin this with a bobby pin in a slightly upwards direction, nearer the crown of the head. 5.) 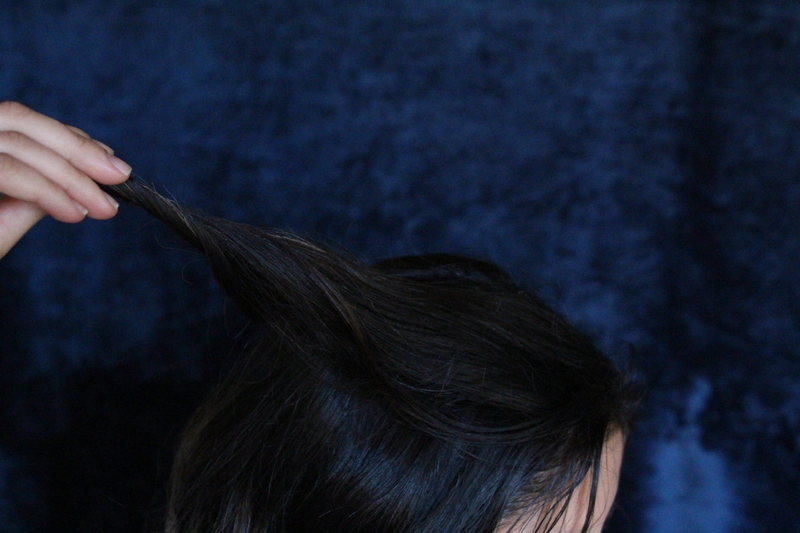 On the thinner side of the part, grab another thin section of hair, from the top of your ear, all the way up to the part. 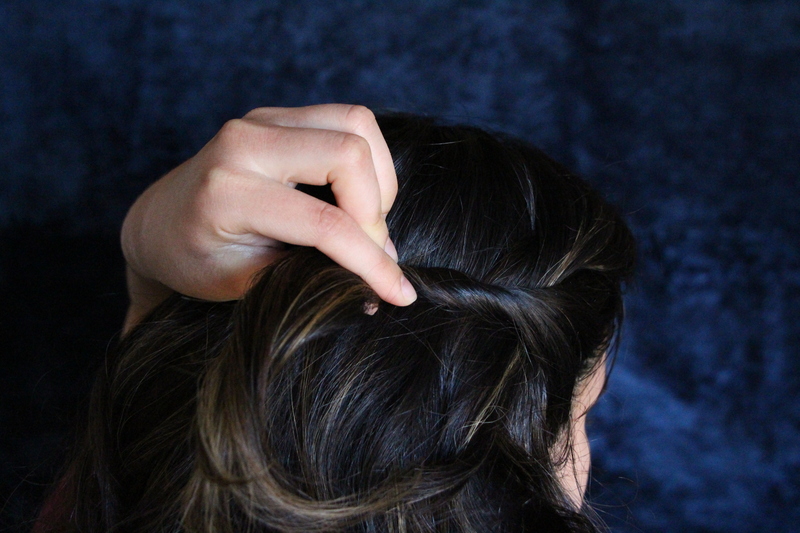 Twist the section, gently tug it, and pin it up towards the crown of your head. 6.) 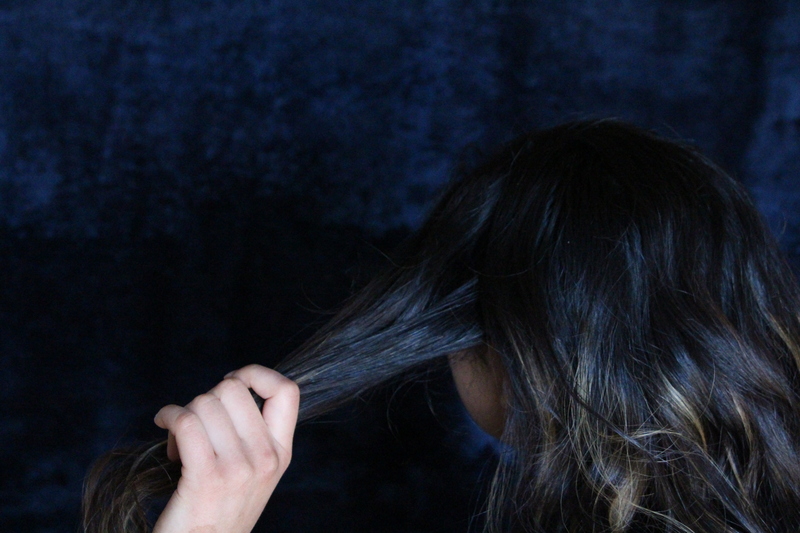 Divide the rest of your hair in two equal parts. 8.) 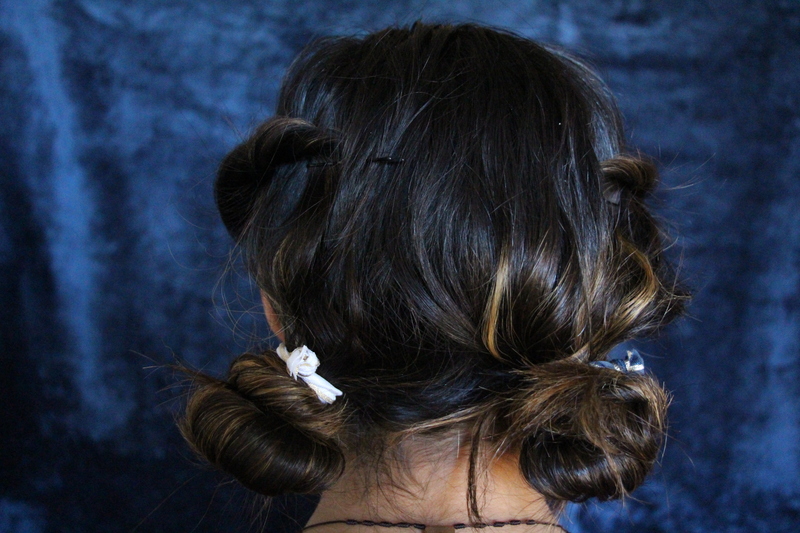 Use bobby pins to lift and secure the two buns close together. 9.) 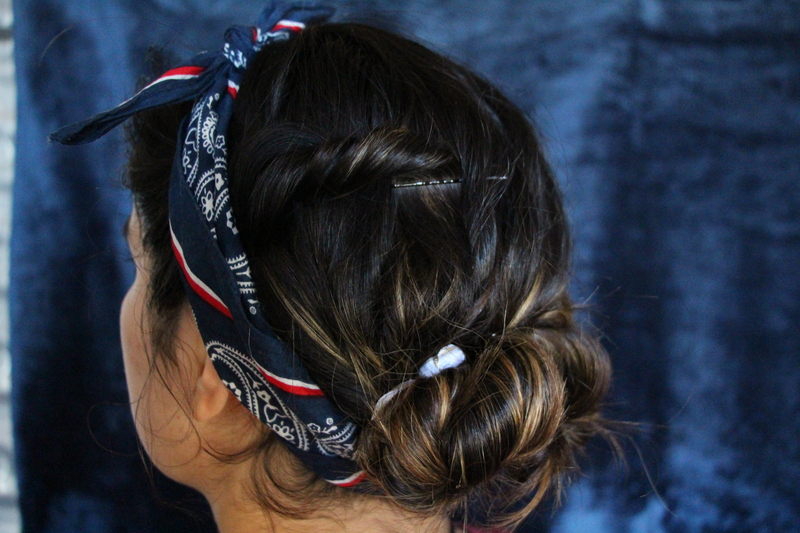 (optional) Tie a bandana around your head, with a super cute knot to finish off your 1940’s hairdo! 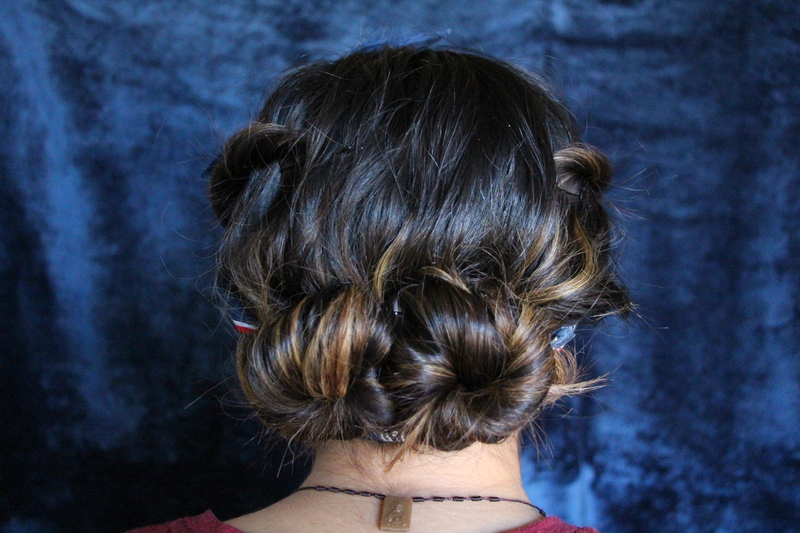 I hope you all enjoyed this hairstyle. 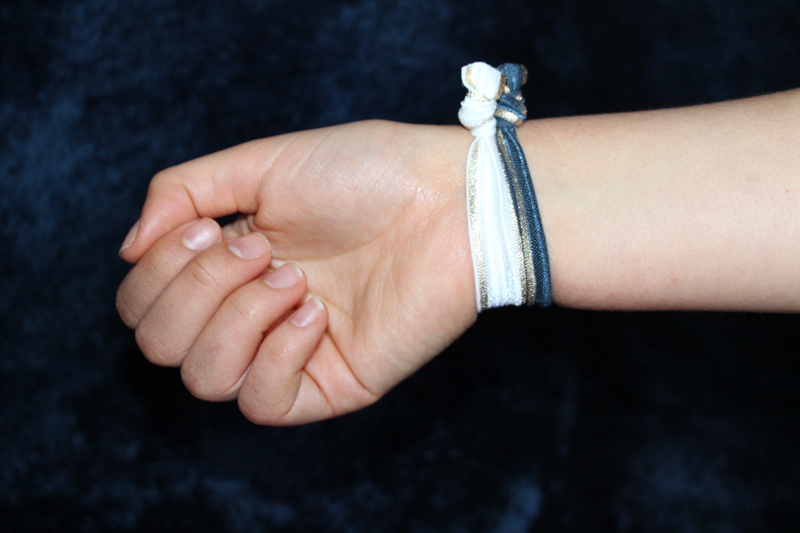 It’s super easy to do, and it can be worn for casual or formal occasion. (Maybe lose the bandana for the formal occasions though, haha!) It’s so nice with summer coming around, because it keeps your hair off your neck. Please let me know what you think of the hairstyle, and also if you’d like to see a more “original” 1940’s look! 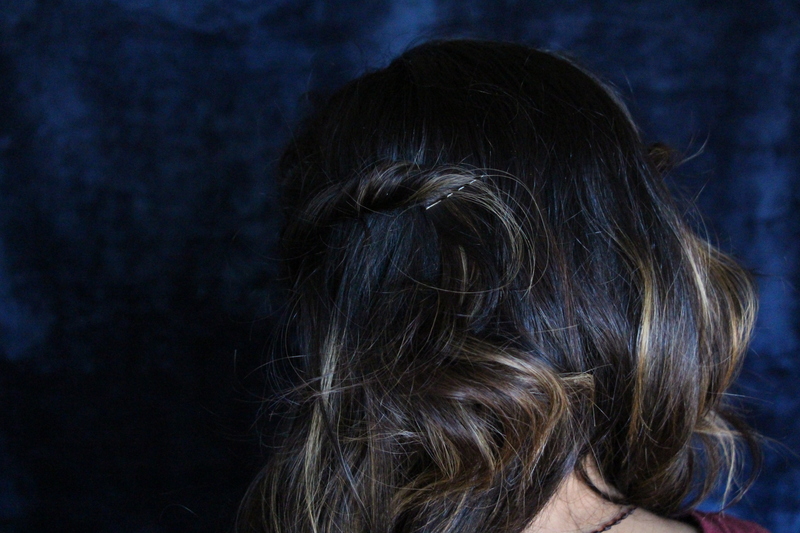 Maybe I could get my mom to do this hairstyle on me….this looks great! Oh I’m so happy you love the look, Emily! 😀 Hehe, Ikr? The 40’s had some great hairstyles! This is so cute! I would love to see one that’s more traditional. This is such a lovely hairstyle Sophia! I’m a fan of 40s fashion too, so it would be cool to see some more traditional styles. 🙂 Thanks for the step-by-step photos too!